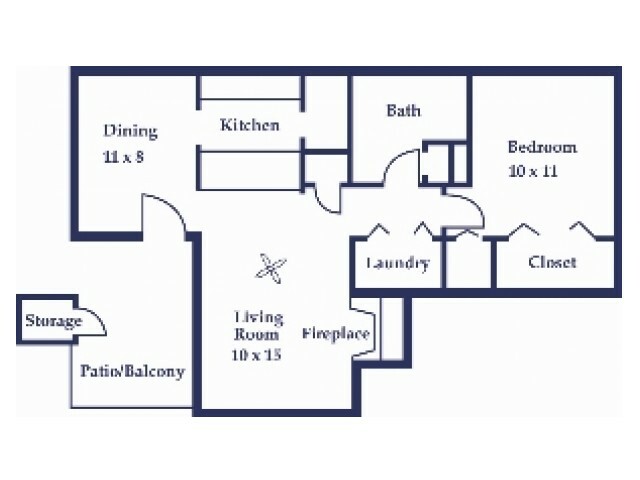 Spacious one bedroom, one bathroom with all you need to make it the perfect home for you! 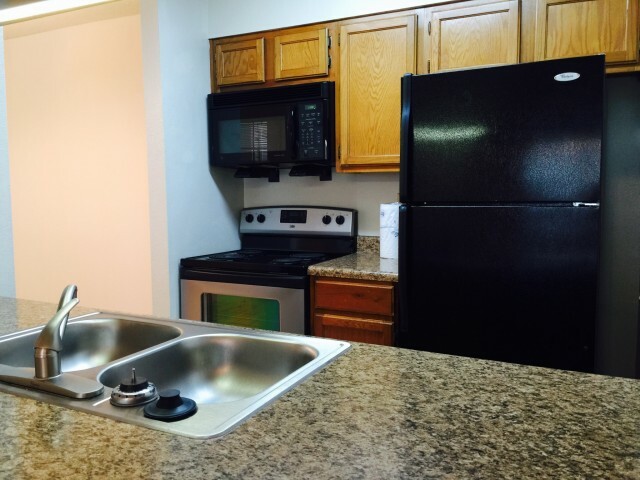 This apartment features a living area, dining room, pass through bar kitchen (with all the appliances you need! ), full size washer/dryer connections, fireplace, full bath with storage and large closets in the bedroom. You will enjoy your patio with extra storage outside and a warm and cozy apartment inside. Each apartment offers ceiling fans in the living and bedroom and overhead lighting through out. Spacious windows give plenty of light.